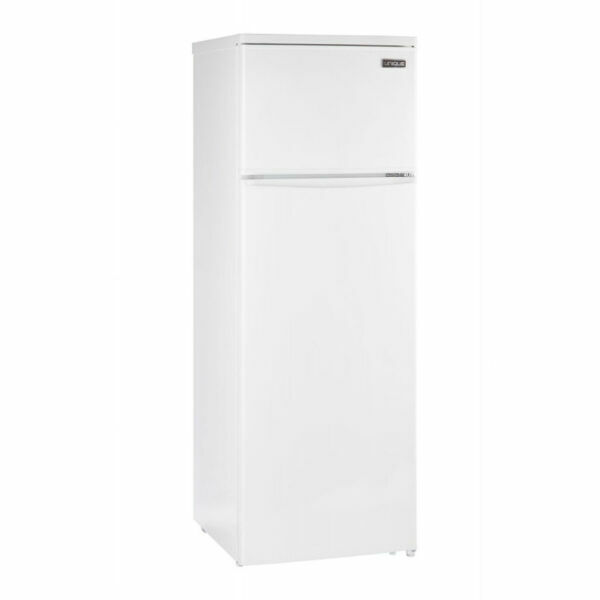 Sundanzer DCF225 - Solacity Inc.
Save on costs with SunDanzer DC refrigerators and freezers. These high efficiency refrigerators and freezers have exceptionally low energy consumption requiring smaller, less expensive power systems and low operating expense. 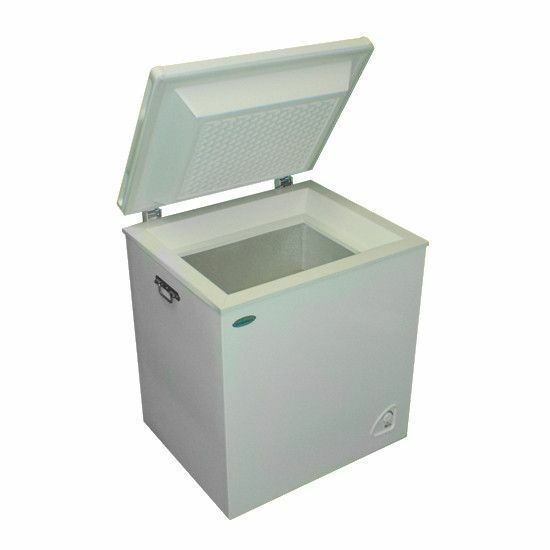 The Sundanzer DCF225 is a freezer with 5.8 cubic feet (163 liters) capacity, and it uses just 623 Watt-hours per day at 25 degrees Centigrade environmental temperature. High quality construction provides excellent reliability and long life. 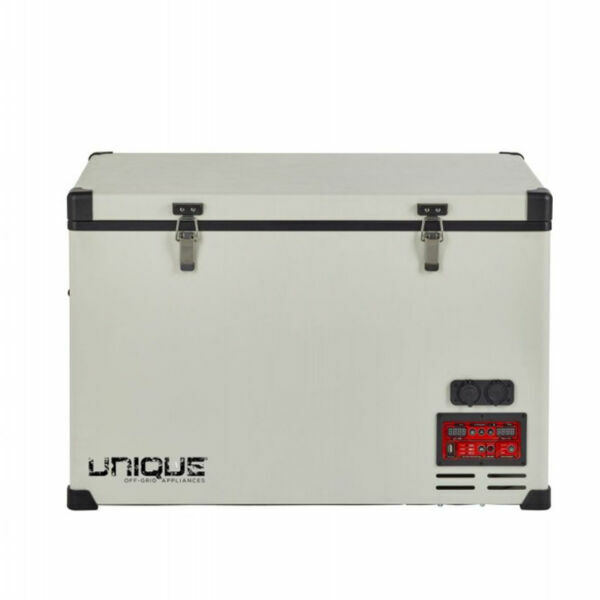 Super-insulated cabinets feature 11 cm of polyurethane insulation with powdered-coated galvanized steel exterior and aluminum interior. A zero maintenance, brushless, thermostatically controlled DC compressor operates on 12 or 24 VDC. A patented low-frost system reduces frost and moisture build-up for low maintenance. 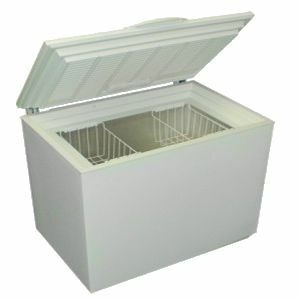 These chest-style refrigerators and freezers are easy to clean using the drain hole at the bottom of the unit. With thick insulation and a refrigeration system optimized for solar, SunDanzer refrigerators and freezers provide outstanding economical and reliable operation. Low energy consumption is the key that allows SunDanzer refrigerators and freezers to be cost effectively powered from solar, wind, fuel cells or batteries. This technology allows refrigeration in remote locations where it was previously unavailable or prohibitively expensive. 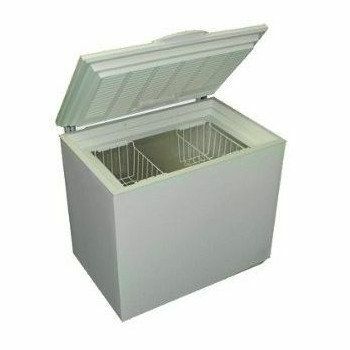 These freezers ship truck-freight directly from the manufacturer in Texas. The price as listed includes customs/brokerage, but not the freight fee. Depending on your location, shipping will add $300 – $500 in cost. Unique UGP-370L1 DC, 12/24 VDC upright fridge with top freezer, 370L / 13 cu. ft.